PT Angkasa Pura I (Persero) - AP I or widely known as "Angkasapura Airports" is a leading reputable state-owned airport management services company in Indonesia. Based in Jakarta, Angkasapura Airports operates primarily as an airport operator in the middle and eastern parts of Indonesia. Angkasapura Airports now has 13 major airports, 1 strategic business unit, 5 subsidiaries and 4 associated companies; Adisucipto Yogyakarta (JOG), Ahmad Yani Semarang (SRG), Adisumarmo Surakarta (SOC), Juanda Surabaya (SUB), I Gusti Ngurah Rai Bali (DPS), Lombok Praya (LOP), Sultan Aji Muhammad Sulaiman Sepinggan Balikpapan (BPN), Syamsudin Noor Banjarmasin (BDJ), Sultan Hasanuddin Makassar (UPG), El Tari Kupang (KOE), Sam Ratulangi Manado (MDC), Pattimura Ambon (AMO), Frans Kaisiepo Biak (BIK), Ngurah Rai Commercial SBU Bali, PT Angkasa Pura Hotel, PT Angkasa Pura Logistik, PT Angkasa Pura Properti, PT Angkasa Pura Suport, PT Angkasa Pura Retail, PT Gapura Angkasa, PT Jasa Marga Bali Tol, Angkasa Pura Airports Pension Funds (DAPENRA), and Yayasan Kesejahteraan Karyawan Angkasa Pura Airports (YAKKAP I). In term of financial performance, Angkasapura Airports closed the business year of 2015 with a positive result. According to PT Angkasa Pura I (Persero) Annual Report 2015 as cited by JobsCDC.com, Angkasapura Airports successfully recorded its total operating income of Rp 5,249.63 billion in 2015. Representing a growth of 14.53% from Rp 4,583.53 billion in 2014. Total assets continue to grow by 5.65% to Rp 16,722.33 billion from Rp 15,826.89 billion in 2014. Proportional weight (minimum height of 170 cm for Male; minimum height of 160 cm for Female). Minimum Senior High School/SMA IPA or Vocational High School/SMK Electro, Mechanical, Automotive and Electricity. Proportional weight (minimum height of 170 cm for Male). Possess driving license class A (SIM A) is preferred. Physically and mentally healthy, no history of infectious disease that is expressed by a health certificate issued by a government doctor / hospital. 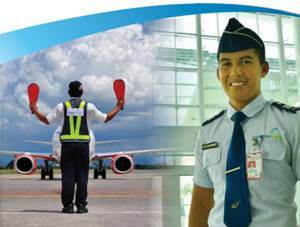 Willing to be placed in the working area of ​​PT Angkasa Pura I (Persero) and perform tasks in rotation (shift). JobsCDC.com now available on android device. Download now on Google Play here. Please be aware of recruitment fraud. The entire stage of this selection process is free of charge. PT Angkasa Pura I (Persero) - Fresh Graduate Officer Angkasapura Airports April 2017 will never ask for fees or upfront payments for any purposes during the recruitment process such as transportation and accommodation.